Margaretta was an African American abolitionist and suffragist. She worked as a teacher for at least thirty years. During the 1840s she taught at a school run by Sarah Mapps Douglass; in 1850 she opened her own school. Margaretta never married and lived with her parents as an adult. In time, she took on the responsibility of running of her parents' home on Lombard Street in Philadelphia, caring for her elderly mother and bachelor brothers Thomas and William. Susan Brownell Anthony was a feminist and reformer whose Quaker family was committed to social equality. She began collecting anti-slavery petitions when she was 17 and became an agent for the American Anti-Slavery Society at age 36. In 1869, Anthony, alongside Elizabeth Cady Stanton, founded the National Woman Suffrage Association, and they played a pivotal role in the women's suffrage movement. Quakers Levi and Catherine Coffin helped thousands of fugitive slaves to safety in Newport, Indiana and Cincinnati, Ohio through the Undergound Railroad, a network of more than 3,000 homes and other stations that helped runaway slaves travel from southern states to freedom in northern states and Canada. On October 28, 1824, Levi Coffin married Catherine White, sister of his brother-in-law and long-time friend. The Coffins and the Whites were Quakers and abolitionists who opposed slavery. Catherine's family is believed to have been involved in helping runaway slaves, and it is likely she met Levi while taking part in these activities. Catherine gave birth to Jesse, the first of their six children, in 1825. Harriet Beecher Stowe published more than 30 books, but it was her best-selling antislavery novel Uncle Tom's Cabin that brought her worldwide fame and a very secure place in history. She also wrote biographies, children's text books, and advice books on homemaking and childrearing. The informal style of her writing enabled her to reach audiences that more scholarly works would not. Harriet Elisabeth Beecher was born June 14, 1811 in Litchfield, Connecticut to the Rev. Lyman Beecher and Roxanna Foote Beecher; the sixth of 11 children. She was called Hattie by her brothers and sisters. Roxanna Beecher died when Harriet was only five years old, and her oldest sister Catharine became an important maternal influence. 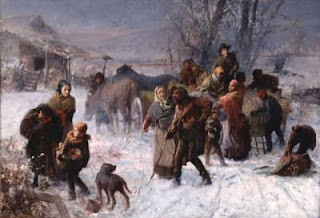 Image: The Underground Railroad, 1891 painting by Charles Webber, depicts Catharine and Levi Coffin leading a group of fugitive slaves to freedom on a winter morning. The setting of the painting may be the Coffin farm in Cincinnati. The increase in religious revivals known as the Second Great Awakening of the 1820s and 1830s led abolitionists to see slavery as a sin against humanity. By the 1830s, thousands of American women were involved in the movement to abolish slavery, and some became prominent leaders in the abolition movement. They wrote articles for abolitionist papers, circulated pamphlets and delivered petitions to Congress calling for abolition. Since the days of William Penn, Quaker practice had allowed women to take public stances on social issues and granted women the right to speak openly at public meetings. 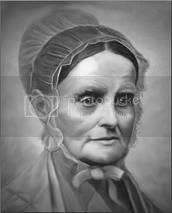 Licensed as a Quaker minister in 1821, Lucretia Mott was soon speaking out against slavery in Quaker meetings. After disagreements about slavery split the Quakers into two groups in 1827, Mott became active in the abolition movement in Pennsylvania. Sarah Grimke helped pioneer the antislavery and women's rights movements in the United States. 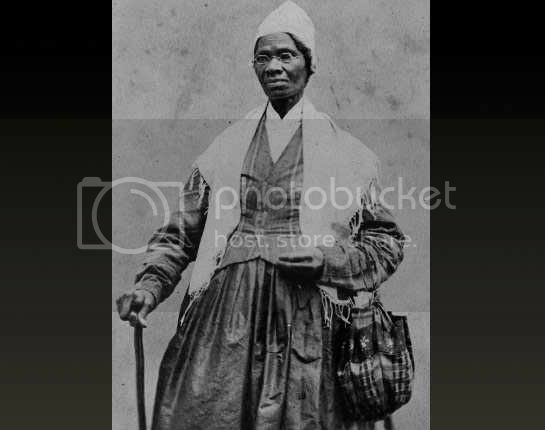 The daughter of a South Carolina slave-holder, she began as an advocate for the abolition of slavery, but was severely criticized for the public role she assumed in support of the abolitionist movement. In Letters on the Equality of the Sexes, and the Condition of Woman (1838), Grimke defended the right of women to speak in public in defense of a moral cause. 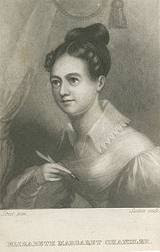 Prudence Crandall (1803-1890) was controversial for her education of African American girls in Canterbury, Connecticut. In the fall of 1831, she opened a private school, which was boycotted when she admitted a 17-year-old African-American female student in fall 1833. This is widely regarded as the first integrated classroom in the United States. Crandall is Connecticut's official State Heroine. 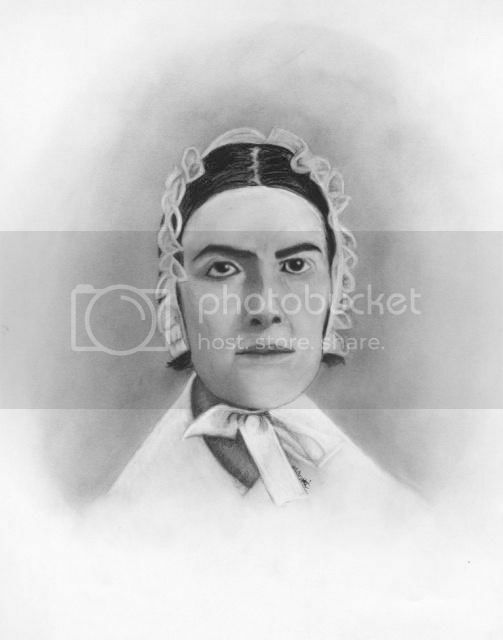 Prudence Crandall was born in Hopkinton, Rhode Island on September 3, 1803 to a Quaker family. In 1820 her father moved the family to the small town of Canterbury, Connecticut. Most women during the early 1800s did not receive much education, but Quakers believed in equal education, regardless of gender. Prudence Crandall attended the New England Friends' Boarding School in Providence, Rhode Island, where she studied subjects such as arithmetic, Latin and the sciences.